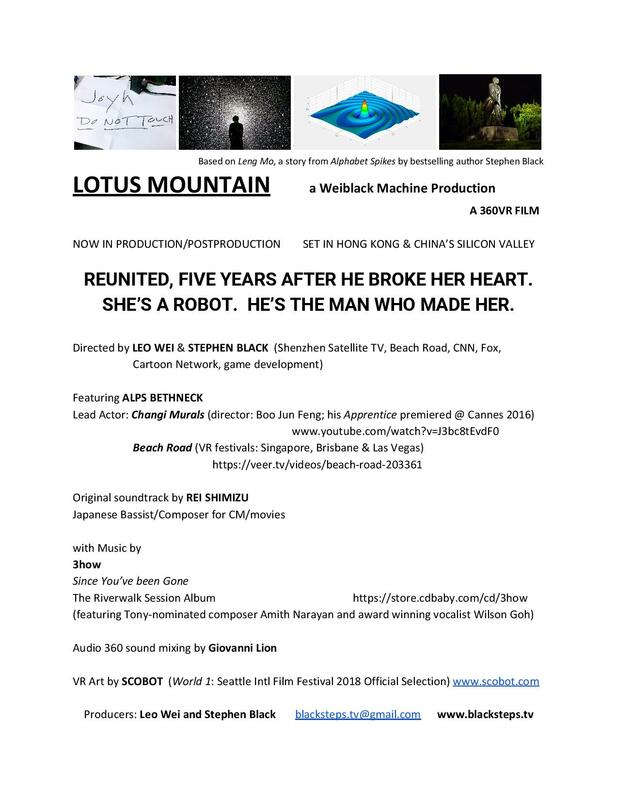 Latest info about Lotus Mountain here. Based on Leng Mo, a story from Alphabet Spikes by bestselling author Stephen Black. REUNITED, FIVE YEARS AFTER HE BROKE HER HEART. SHE’S A ROBOT. HE’S THE MAN WHO MADE HER. This entry was posted in 3how, Book Merah, Contemporary Lens-Based Imaging, ebooks, Stephen Black, VR and tagged AR, collaborations, network art, VR. Bookmark the permalink.